Two weeks ago I reviewed the Flash Uni-Formz and my page hits went through the roof. Since yesterday I declared Thursday was for all things beer, here at That F’ing Monkey, Fridays are now Flash Fridays. Sadly I don’t have any brand new, super cool Flash items to review today. 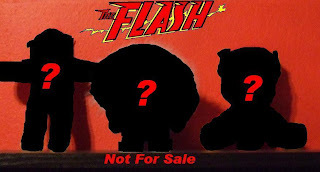 But every Friday for the next three weeks I’m going to be sharing special items in my Flash collection that can’t be bought off the shelf. I’m going to cover the items in the order they joined my collection. All of them were made or worked on by individuals that are near and dear to my heart, so trying to rank them any other way would be too difficult. Number 1 is revealed after the jump. The first custom figure is a Captain Cold Munny. This little guy was a collaborative effort between my wife and me. 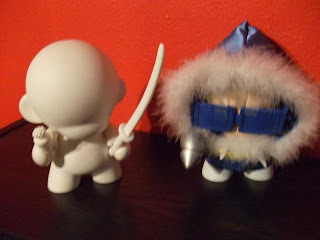 My wife made his parka and belt; I did all the paint work. Of course most of the paint is covered by the jacket, so you’re mostly seeing her craftsmanship. But I promise you; under all that coat he is wearing a painted on wife beater and tiny blue pants. For those who are unfamiliar with Munnys, they are blank vinyl figures from a company called Kid Robot. They come in white, black, and glow in the dark. Besides the figure they also come with a little pack of random accessories. Both the glasses and the ray gun are from these accessory packs. Luckily when we made him, the store owner sold enough of these that we were able to trade items to get them ones we needed. The Captain is not our first Munny either. A year before we made him, we created a Rorschach. It was the same team up, I did all the painting and my wife did all the sewing. Under his trench is a painted on little suit. 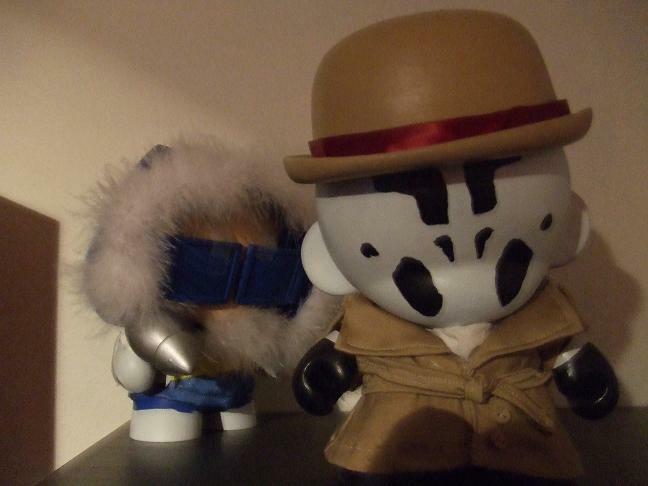 Rorschach was done for a custom Munny show. While popular with the comic fans there, he didn’t place in the top three. Sadly this was before the movie was in the works or he’d have probably faired better. But back to Mr. Snart. 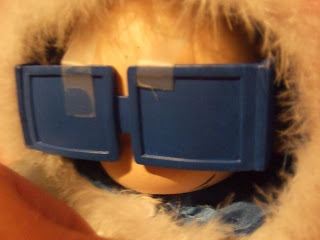 You’ll notice the tape holding his glasses up. He isn’t 100% finished. Eventually I’ll glue the glasses in place, but I’m still waiting to borrow someone’s router so I can cut the holes in them. I need to give him some painted on hair too, so right now he is more New Frontier Cpt. Cold then I was going for. But look at that grin! Even unfinished how can you not love him? 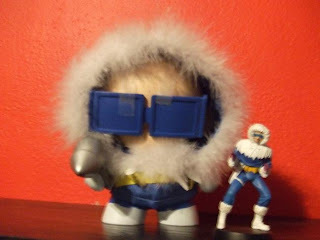 Cold hangs out on my Villain shelf in my display case. Check back next Friday to see who else is hanging out in my Not For Sale Collection.